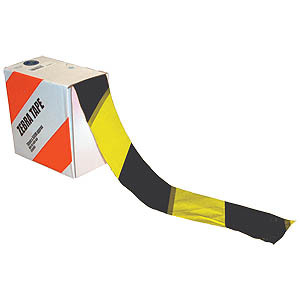 Diagonal striped polythene hazard warning tape. Used for marking out enclosed areas where caution marks are not suitable. This is an economical barrier tape for numerous jobs. The tape is 72mm wide and supplied on 500m rolls in a dispenser.